When I first heard about fanfiction, I thought it was a fantastic idea. I didn’t start reading it right away, however, and I told myself I was not – absolutely categorically NOT – going to start writing it. Why? Because I recognized it for the rabbit hole it was. I knew that if I started I wouldn’t be able to stop. Regardless of knowing that in advance, though, and no matter how much I told myself I wouldn’t give in, temptation finally got the better of me. And, as it turned out, I was right. Fan fiction kind of took me over, just like I thought it would. Do I regret that, speaking from my place now five years down the line? Nah! It gave me a lot of writing experience I wouldn’t have had otherwise and, aside from all that, it was fun! If and when I get traditionally published, I plan to continue with fanfic on the side. Granted, I’ll no doubt have a lot less time to devote to writing in other people’s worlds, with other people’s characters, when I’m also trying to focus on my own, but I’m no longer in denial. I’ll still dabble any chance I get. 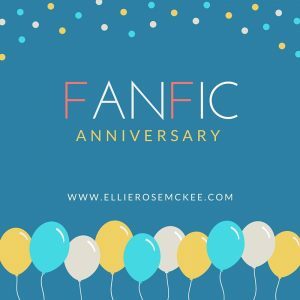 On this day, every year, I post some stats about fan fiction I’ve written; today being July 28th – exactly four years since I started writing it. 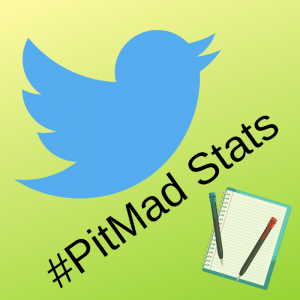 You can view my stats for 2016 here, and 2015 here. 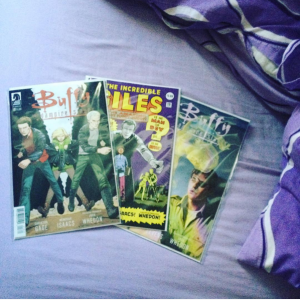 When I started, it was only Buffy fanfic, and it was only posted in a single place: Elysian Fields. After a year, I started sharing work to FanFiction.net and dipping my toe into other fandoms, also. Last year I decided to re-edit my back catalogue and stick it all up on Archive of Our Own. That is still a work in progress, as you’ll see below. On EF, I have left over 1,000 reviews totalling 50,000 words, and 84 people have favourited me. 130 people have favourited me on FF, and I’ve left 150 reviews there. Total views to my FF profile page: over 10,000. I have almost 500 ‘Kudos’ on AO3. Hits are over 12,000, subscriptions over 100, and 69 bookmarks (honestly, I don’t really know the difference between subscriptions and bookmarks, but I post the details here for reference anyway). I’m not even going to begin trying to count how many reviews I’ve received, because it was in the thousands last year and it took me forever to total. Needless to say, though, I’m feeling pretty pleased with what I’ve accomplished. 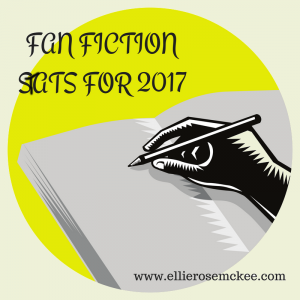 Now three years from when I started writing fan fiction, it’s time for another round-up of statistics. For comparison, you can see last years post here. One thing that’s happened since my last update that I should mention is that I’ve joined Archive of Our Own. So, I’m currently going through all my fanfic, re-editing and crossposting it there. *This is calculated to the best of my ability. There were a lot to count, and there might be a small degree of human error, hence why I’ve rounded numbers down. **For this statistic, I’ve combined series and counted them once. 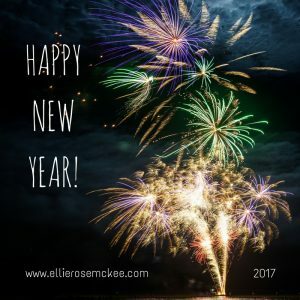 The tax year just having ended, I’m taking stock of my business from the past twelve months – doing accounts and such – but, seeing as how my business basically boils down to a lot of words in a lot of places, I thought it was time to crunch some numbers on those, too. I’ve done this before, but the results of that literary audit weren’t very organized and are now massively out of date. 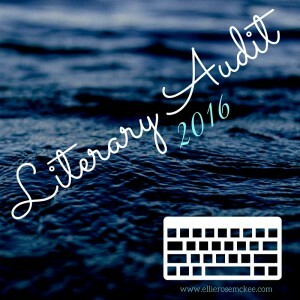 But what exactly is a literary audit? I hear you ask. Well, it’s the process of looking hard at everything you’ve written/created/had published, and putting together some facts and figures based on what you find. The purpose of this is two-fold: to see how far you’ve come, and to give you a better idea of where you might want to go with your work in future. You might find, for example, that you have written a lot of short stories, but that you’ve only ever submitted a tenth of them to journals, blogs, or competitions. Knowing that leaves you with the obvious next step of going out and making a fresh round of submissions. SIDE NOTE: While I’m on the topic of submissions, have you heard about Submittable? 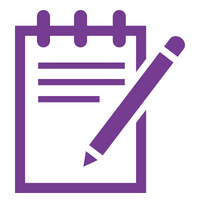 It’s a website that lets you submit your work to relevant publications quickly and easily. I can’t recommend it highly enough (read more about it here). On this day two years ago – July 28th, 2013 – I wrote and posted my first ever piece of fan fiction. 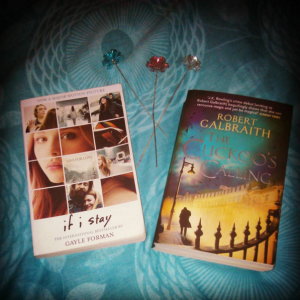 Since then, fanfic has become a big part of my life, both as a writer and as a reader. It’s my release for when my novel isn’t going the way I want, or when life isn’t going the way I want, and I find it generally good writing practice as well. So, I thought I’d share some statistics in celebration of the anniversary. Over 200,000 words of Fanfiction for Buffy the Vampire Slayer/Angel the Series. Over 3,000 words of Fanfic for other fandoms (Harry Potter, Crow, Serenity, Ten Things I Hate About You, and Once Upon a Time).